Have you found those basic but cool patterns and would like to dress them up? Hand knitted clothes have such a personal touch about them that can not be found on factory or mass produced items. With experience and imagination you to can create your own beautiful garments any designer would envy. You can always knit up one of a kind articles or copy a pattern exactly as given. The time you put into your article will show in your finished product. Applying beads is the simple answer. 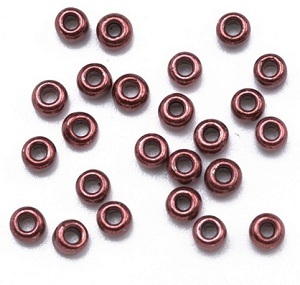 There are many different sizes, colors and styles of beads to choose from. Be aware it is important to choose the right ones to suit your garment. 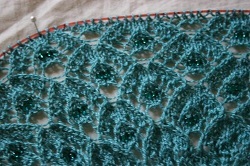 You wouldn't want to add large clunky beads to a delicate lacy sweater. Oh the other hand you would never add tiny sequins to a bulky fisherman knit cardigan. Consider the sweater you plan to make and the yarn you are using to make it up with. It this going to be a thick winter jacket or a lacy summer top? Colors are naturally another factor to take into consideration. 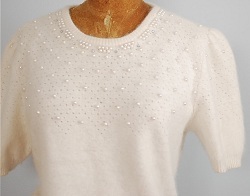 For example a cream cardigan that you have knitted for daywear will look great with just a few pearly beads sewn around the neckline at the front. For evening wear you can be more adventurous. Silver or gold beads look wonderful against the black background of an evening top and will really add some sparkle under artificial lighting. For evening, don’t forget that you can also apply beads to the back of a garment as this will give an unexpected and original design. Another time saving idea would be to make a sketch of the garment and draw the bead design onto this pattern. Do this before you start as that way you can think through the options before you sew on the beads. You would do this when planning intarsia knitting giving yourself a diagram to follow. This works equally well with adding beads. Do not forget that you can even use more than one size bead, style or color of beads on those cool patterns that are rather plain. But it is important to choose carefully, so that the beads go together and produce the effect you are aiming for. Being the designer is fun and challenging. Do give it a try and get ready for the many compliments you will receive.